I was due on the 6th October, but by the 10th already there was still no sign of the little one arriving any time soon (however much I bounced up and down on the birthing ball, sniffed on Clary Sage, had spicy food and marched up and down the stairs). That night however, I was woken up around 3am with the feeling of some gentle trickling of water down there. By chance, we just happened to have a midwife check up the following morning – and naturally I mentioned the incident about the water to her. She quickly referred me to the maternity ward after our appointment, so I could be examined to clarify whether my waters had broken or not. After (a very uncomfortable) examination, they confirmed that a small amount (probably the equivalent of 1 or 2 tsp) of my back waters had gone. Straight away, this meant that my plan of having a water birth went out of the window, due to the risk of infection. Of course, this was slightly gutting, but we were also relieved that there was finally some kind of progress! However, we were also conscious that I was now on a countdown to start the contractions on my own (ideally within 24+ hours), if not I would have to be induced, which was the last thing I wanted to happen. So we were sent back home and told to call back 6am the next morning (which was approximately 31 hours after my waters had broken), if contractions still hadn’t started. And again, however much I tried to get things going on my own, by 6am the next day, there was still no contractions or any sign of him arriving… So we called in, and was informed to pack our bags and come in as soon as possible – I was not coming home again until I had this baby. By now, our initial excitement had turned to feeling quite anxious, nervous and tired (and this is before the labour had even started! ), as we had no idea what – and how it was all going to pan out, and as mentioned, being induced was something I really wanted to avoid. So after being examined again shortly after arriving to the Triage, we were told some very deflating news; I wasn’t even a fingertip dilated… My cervix was basically shut and my baby boy was definitely not ready to enter the world just yet, even though my waters had technically broken 31 hours previously (albeit, a very small amount). At this point I was given two options to move forward – start the labour process more softly via the pessary to hopefully help open the cervix in a more gentle way. This process would take 6 hours, and I was informed that it was still no guarantee that anything would take effect, in terms of my cervix opening. Or, I could go straight to being induced via the syntocinon drip – which would be a lot quicker, yet way more intense and painful (and could also increase the chances of having an emergency C-section at the end of it). Although I had realised at this point that my birthing preferences of having a water birth in the midwife led maternity ward was never going to happen – I still wanted to keep everything as close to the Hypnobirthing approach as possible – so I opted for the softer and more gentle option of the pessary – hoping that it would get things going in the right direction, so I at least could try my very best having a natural birth! 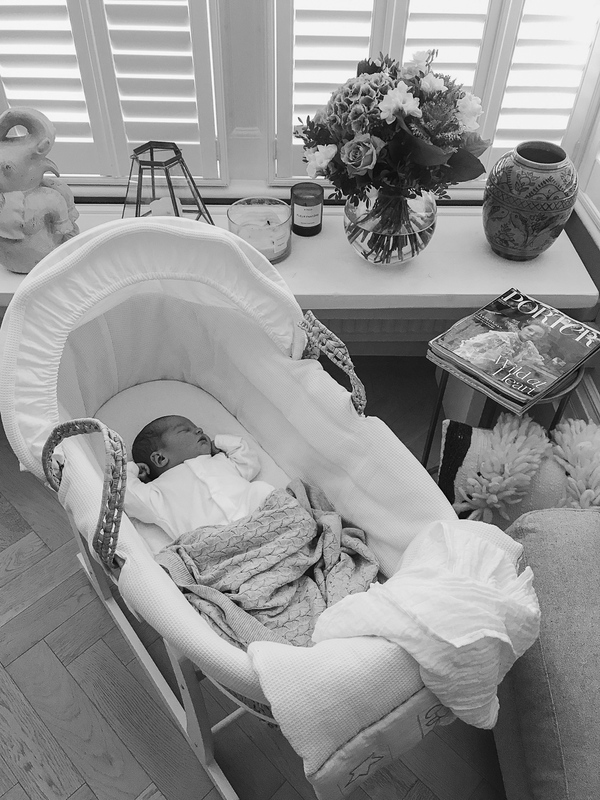 After the pessary was inserted and the 6 hours had passed by (now 37 hours after my waters had broken), I was moved into my own private room – which is where I would be staying for the majority of my labour. Here we met our designated midwife who would also stay with us for the rest of the time until birth. 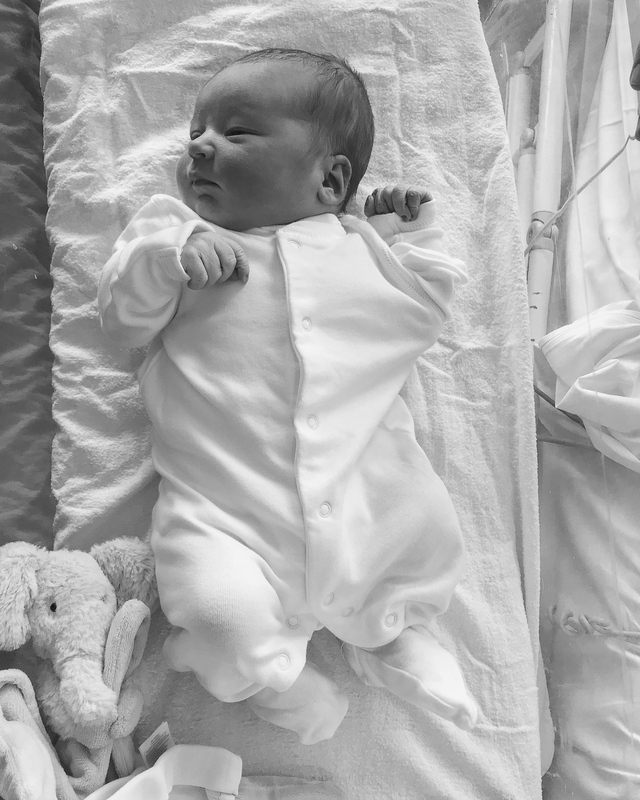 She straight away examined me to see if the pessary had worked to dilate the cervix and see where I was at… But no – we were again dealt with another blow; after 38 hours, I was still not even 1cm dilated… Our little man was really not ready to come out! At this point, we both broke down, tears of tiredness, frustration and realisation that I would have to be induced via the syntocinon drip. When that said, and in hindsight, I am still glad that I at least tried the pessary option – as I think going straight onto being induced would have been way to intense for me, and definitely not aligned with where my head was at during that stage. 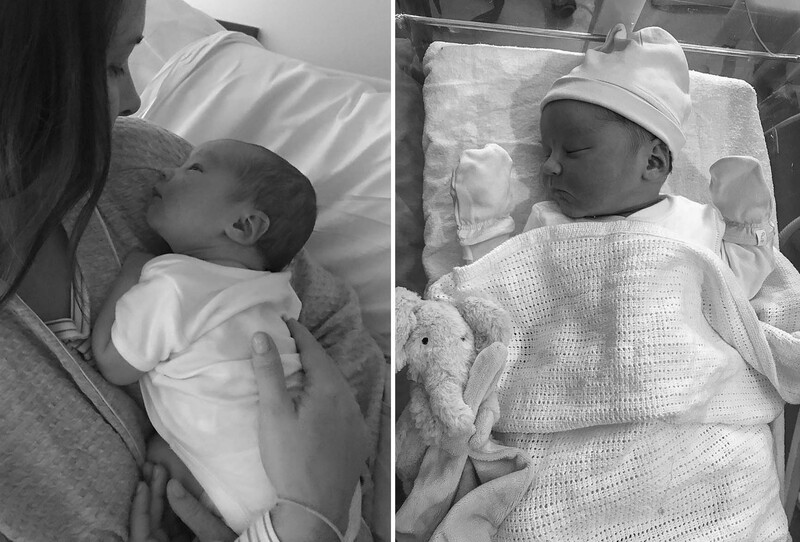 No one could have ever have prepared me for what was to come those next 12 hours… Once I was all connected to the drip, I straight away declined any form of pain relief (still clinging onto my idea of this calm and natural birth). My incredibly supportive husband had transformed our relatively sterile room, into this calming sanctuary – with an aroma diffuser filling the room with lavender and Frankincense, calming music on the speakers, dimmed lighting and a quiet atmosphere. 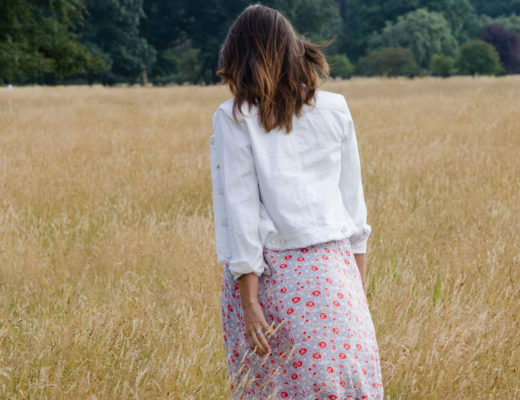 Albeit I wasn’t going down my preferred birthing route – I was at least in a setting and environment, where I felt as safe as I could be (all considering). So, after accepting the fact that I had to be synthetically induced, I tried to make the best out of the situation – and with a sudden renewed strength, I (foolishly) thought I would manage the birth fully pain-free – even though the midwife and doctors kept warning me that I was being far too brave (or crazy, rather) not to accept an Epidural, as I was told that the pain with an induction is so much quicker and way more intense than a natural birth. Yet I was adamant (stubborn) and kept declining, due to my relatively high pain threshold. Boy, did I regret that. After around 30-40 minutes of being connected to the drip, I was screaming and begging for an Epidural, having never felt pain like this before in my life. Within 10 minutes, the anaesthetist was there to start the process. But at this stage, my contractions were coming every minute, so it was so hard to concentrate or even lie still to have the procedure. After missing my spine twice for the injection as I was moving so much – hitting a vein the first time (don’t worry, nothing serious happened) – he finally managed to get it in the right spot, and within 20 minutes, the most wonderful relief washed over me… Now that the pain was better managed with the Epidural, I could finally relax a bit. Although I could still feel the intense sensation from the contractions, it wasn’t painful any longer, just slightly uncomfortable. As my waist and legs were now fully sedated and I couldn’t move from the bed, they had to connect me up to a catheter in order to pass urine. As much as I was happy about my choice of having the pain relief in the end – I really didn’t like the feeling of being so confined to the bed and having all of these wires in me – making me feel very claustrophobic and uncomfortable throughout the labour (and far from the ‘free-flowing’ birth I had in mind). So, after another hour of being on the drip, the contractions had now started coming in huge and frequent waves. Then, suddenly out of nowhere, the midwife went rather pale and swiftly headed out of the room. 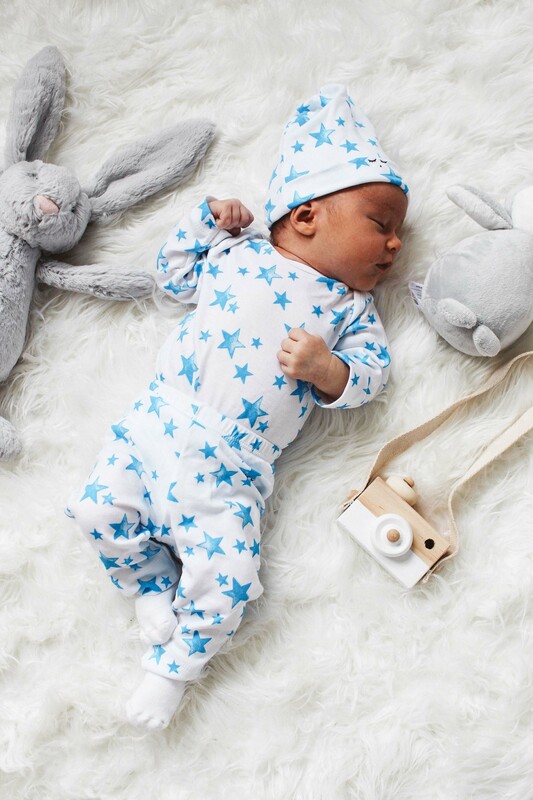 The midwife in charge returned, along with the head consultant, both deciding to promptly to take me off the drip again – as the baby’s heart rate had suddenly gone sky high, due to not being able to handle all the strong and intense contractions I was having. It was yet another set-back at this stage – to be then taken off the drip – but we completely understood and agreed in the decision due to safety of the baby. It turned out to be an incredibly busy night at the hospital when we were in – and over the course of the next hour, all the doctors had been called in to various emergencies around us. As the midwife was under strict instructions to not put me back on the drip until there was a doctor free to oversee and help out (in case I suddenly went into an emergency scenario as well) – I just had to patiently wait in my room (still confined to the bed), until one of the doctors was back from theatre… Over 4 hours later (!) which seemed like and eternity as it was during the night – and naturally, none of us could get much sleep – the doctor returned and did another internal examination to assess my progress. Over the course of the past 4 hours I had been waiting, I’d actually started to finally contract on my own, with pretty big and regular waves too. But I was still only 1cm dialated (I mean, come on!? ), so they swiftly decided to speed things up again, as it was now 48 hours after my waters had broken, with still so little progress – and put me back onto the drip, on the very lowest dosage (due to the baby ‘s sensitive heart rate). Within less than an hour, after tracking my contractions and both our heart rates, my midwife decided to do another interval examination of my cervix. I was so tired at this point, not having slept or eaten anything else other than a few energy bars – and I suddenly (very inconveniently) started having a full blown panic attack on the bed (which I am sadly prone to from time to time). Obviously I couldn’t move anywhere (which didn’t help my panicking), and it took me a good 20 minutes to calm down and recover, and to finally let my midwife do the examination. And by that stage, we had some good news. I had gone from 1cm to being fully dialated at 10cm, in less than an hour! The midwife and doctor confirmed that I was finally ready to start the pushing in the next 45 minutes. At this point, Sam and I had renewed our spirits and energy, and we started to get really excited! After all of this time, we were going to meet our baby but boy in less than an hour! The moment was so close, and everything seemed perfect and just the way I wanted it; the dimly lit room, the relaxing music, the quiet and calm athmosphere had been restored, and only Sam and the midwife by my side. So when the time came – I reminded myself of the relaxation techniques I had been practising for so long, and started to breathe the baby out (a softer way of pushing)… Obviously, this was easier said then done – as I was still connected to the Epidural and I couldn’t feel any urge to push. Although I could still feel the intensity of the contractions, with a mild pain and burning discomfort – it was manageable, yet incredible tiring. I was so weak after 40+ hours in the hospital, and my energy was definitely dwindling. But I did my very best to gather up all remaining strength for what I thought was my final moments of pushing… But after 20 minutes of deep and long pushes, thinking it was all going so well, and in the right direction – it all changed again in seconds. Suddenly, our midwife ran out of the room, returning back with a team of doctors and midwives – going from being just the three of us in the room, to now 10 people around me. The baby’s heartrate had sped up even more than before – entering a very dangerous level – and I was told that I had to be rushed to theatre and get this baby out ASAP. So going from thinking it was all going so well in the end – with what I thought was going to be a now relatively natural birth – to suddenly both being stripped off and into scrubs, half conciously having to sign consent forms for what was to come – and being rushed into the theatre with 10+ strangers in the room – was a moment I will never forget. And I have never been this scared in my life. Obviously, at this point when I asked, had she said no – I would of course gone ahead with the C-section, for the safety of our baby. But in our case – if you don’t ask, you don’t get. And boy, was I glad that I refused it. She agreed to either try Ventouse or Forceps first, and I chose the Ventouse (vacuum-assisted vaginal delivery). Funnily enough, I can’t remember even touching upon this type of delivery during our prenatal classes, but from what she explained there and then, it was what seemed like the right choice for me. At this stage, she also told me that I didn’t have much time, and I would only have a few pushes to get him out, before they would have to intervene with a C-section. I agreed, and we swiftly got rushed into theatre. As the team of staff were all realistically getting ready for the C-section, I also had to be prepped for it. So the anaesthetist was back, and had to numb me all the way up to just below my chin. 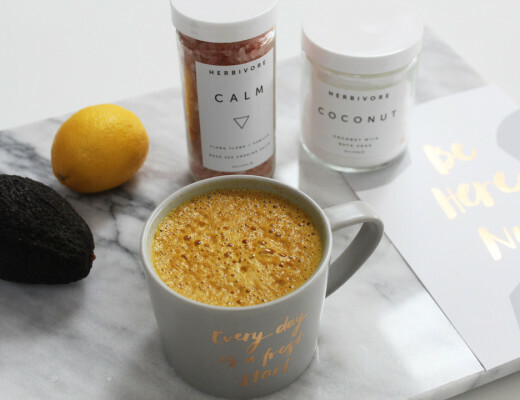 I now couldn’t feel anything, which suddenly again, out of nowhere, set me in yet another state of panic – and I started hyperventilating and feeling really dizzy and sick. As I was all hooked up to various drips, they swiftly gave me something to calm me down and get rid of the nausea. My midwife stayed by my side and tried to calm me down, and my husband was helping with me my breathing. I was so out of it that I hadn’t realised that Sam was crying too, and had a look of terror in his eyes. Afterwards, he has said that it was the worst and scariest hour of his life, feeling so helpless and petrified for our wellbeing. As soon as I was all prepped and ready, I finally managed to get control of the panic and nausea, gathering up the last remaining strength I had left. The moment we had been waiting for, was now finally here. As I knew I only had a few pushes to get him out, I really had to mentally and physically pull myself together for the next few minutes. And let me tell you, I pushed for my life. Even though I was so dazed and drugged up, without having any natural urges to push, being completely numb from my chest down – I somehow regained some inner strength, and miracously got him out in just two pushes (even the doctor was shocked!). Finally, I had him in my arms. 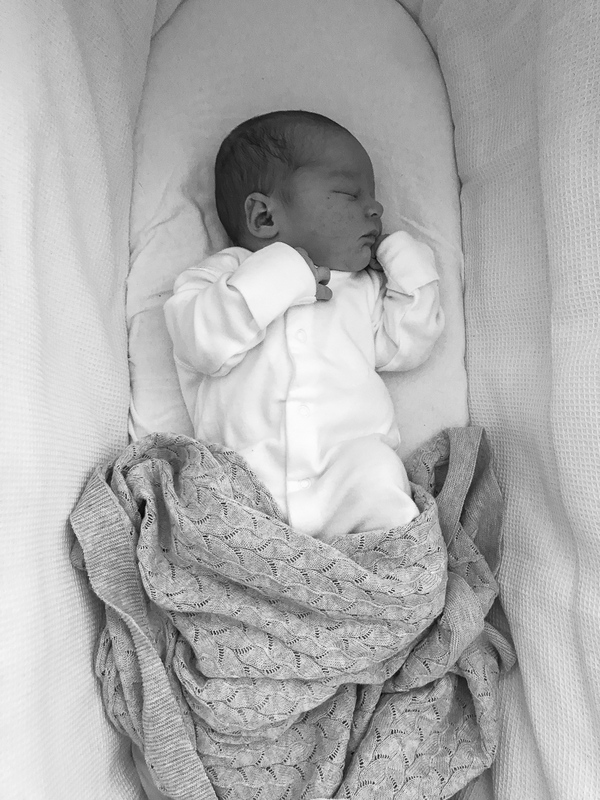 6 days overdue and 50 hours later, our healthy and happy little boy, Rio Ezra Bush entered out world on the 12th October, 7.55am at Kingston Hospital, weighing 8.2lbs. And boy, was he worth the wait. And you know what, even after everything – the pain, the drugs, the waiting, the uncertainty, being so incredibly scared at the time – I would still do that labour all over again in a heartbeat. It sounds crazy, but I just felt so safe and so fortunate being surrounded by such an incredible team of doctors, midwives and nurses (who are simply AMAZING and definitely don’t get enough credit!) – and realising that however scary and horrific it was, it all worked out in the end for us – and was of course, so worth it. Finally, after years of trying – we had our happily ever after, and have never felt so complete. Wow, Anneli! Thank you for being so brave and telling your story. I think it’s really important that women should be made aware that not even birth goes to plan. In fact, most of the women I know who have gone through labour have not followed their birth plans! Thank you for your message Jo and your kind words. Sounds like a pretty horrendous experience but as you say totally worth it in the end. I had a similarly traumatic and long first labour but I’m pleased to tell you that second time round it was sooo different. I managed to labour at home on my own in a totally zen like state for 3 hours before heading to hospital but ended up giving birth in the car in the hospital car park because the baby wasn’t hanging around!! It was such an incredible experience and I actually enjoyed it even though I didn’t get the water birth I wanted again! Thank you for sharing this Anneli. I cried reading it! Massive well done for getting through it, and the fact you are still so positive about it speaks volumes. I have really enjoyed following your story( especially as our boys are born 2 days apart) . Keep doing what you’re doing it, is really so inspirational and helpful to read. It took my mum 3 days to deliver me, of which the last 17 hours were full on pain – no epidural for her sadly – so I forever admire her and any woman who goes through all this incredibly painful life experience to deliver her children. If only men could do it instead of us, I’d be the first to change roles! This is an incredible story! As I have been following you on IG for a while I was so happy when you announced your pregnancy, and so excited following you the months leading up to birth! But what you don’t read about that often are these kind of stories; the realness of giving birth. And it’s really inspiring to read a birth that has not been flawless, and I mean that in the most loving way! Such a powerful story and you are such a strong woman and mama! Rio is so incredibly cute and I truly hope you all are doing fine by now! Congrats! Sorry to hear you had such a nightmare. But why the bad press for C sections? I had 2 – both planned and both brilliant. Happened as planned and my children both happy and healthy. Women give themselves such a tough time – isn’t it time we gave each other a break? No bad press at all, simply a personal choice! 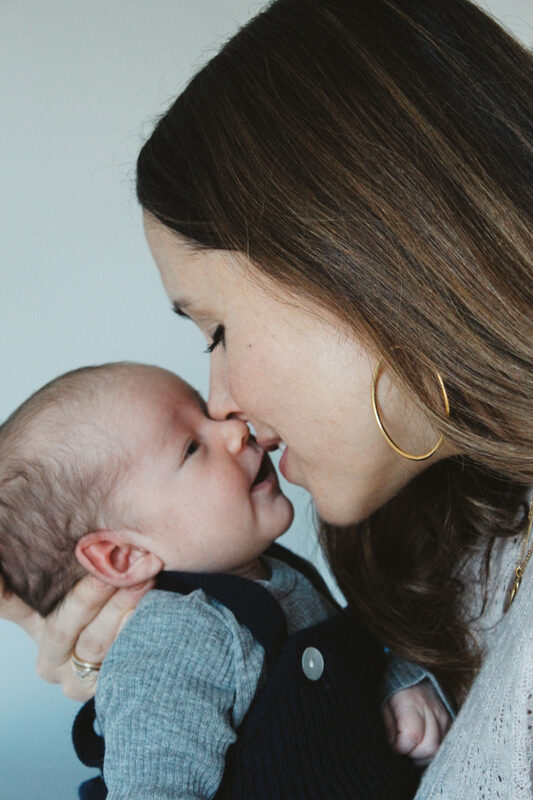 This was a very individual and personal account on how I wanted it – after months of preparing for a natural birth. Same way as you decided to have your planned c section (I know of many people who have had elective C sections, and swear by it!). I do think though, an emergency c-section, versus a planned one, is quite a different experience – which I have seen first hands with very close friends and family. Hence why I didn’t want that to be the outcome :) Have a great day! This story was amazing!!! I could not stop reading! Am so happy that in the end, after such a long and exhausting labour at that point, that you still had your wits to speak up for yourself. I, too, had to be induced and even tho the epidural was wonderful, and I’m a person who is fairly quiet and doesn’t like to make scenes, but I did grab my dr.’s hand at one point and begged him to “get this baby out of me now!”!:). They also had to use a vacuum on mine also for just a sec I think. Am happy everything worked out so wonderful with little Rio! Lovely Birth Story. I love that you were brave and said no to the csection. Love that! Congratulations! Oh my god WELL DONE this made me cry, you are so brave and strong. Rio is so sweet and all worth it. Applaud you for sharing a real birth story, as you say you can do all the preparation but no one wants to tell you what it is really like…and how medieval birth is no matter how the baby emerges. 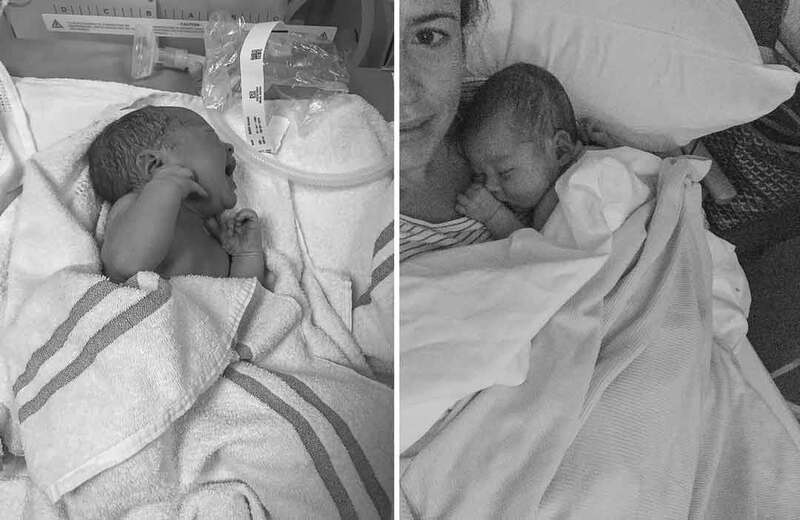 I’d like to share my story too as its similar and may help anyone reading the comments…7 months ago with my second baby I was overdue, my waters broke (unlike you I had an enormous gush!) then you are on the clock and if nothing happens medical intervention starts taking place. After a two day labour I *just* avoided emergency c-sec by blindly pushing my son out not being able to feel anything from the strong epidural which killed my contractions. The worst bit was my episiotomy stitches became infected internally which wasn’t picked up for weeks. Also had a prolapse from pushing so hard, which made me pretty depressed and again is something that is never discussed in NCT etc.